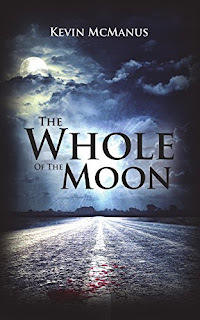 · The book is called, “The Whole of the Moon” by Kevin McManus. The events in the novel take place in western Ireland during the winter of 1988-1989. The setting is the fictional town of Ballinastrad and its rural hinterland in County Sligo. · The main character is Conor Doyle, a 27 year old man who has returned from working in London for the Christmas holiday. He is reunited with two of his close friends: Darragh Lonigan and Sarah Gallagher. · The story revolves around the brutal hit and run – and subsequent death of – a well-liked man, called Tom Kearns, from the area during the days leading up to Christmas. 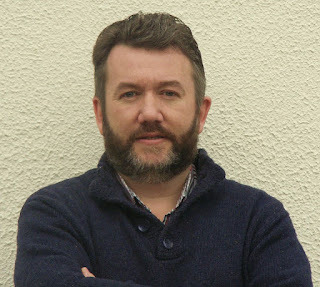 · Conor dreams of finding a reason to stay in Ballinastrad. However, the dream is shattered and a nightmare begins when he gets entangled in the murder investigation that follows on from the aforementioned hit and run. At the heart of the story is the relationship between Conor and his life-long friend, Darragh. The two lads remained very close from boys-to-men despite their very different backgrounds. Darragh being from a privileged family, the son of a politician, and Conor, the son of a farmer. The central themes of the novel are jealousy and betrayal. · The story is set against the popular culture of the time, with many references to music of the decade, including the book title itself, of course (which was inspired by the classic Waterboys’ song). · I started writing the background of the story about four years ago. The story is inspired by my own experiences growing up in rural Ireland in the 1980s. It is also shaped by some of the friends and personalities I encountered during my student days. · I enjoyed creating and mapping out the places in the story, the fictional villages and surrounding hinterland, and creating the characters that would dwell there. · At first, I wasn’t sure where it was going length-wise; possibly a long short-story, if that makes sense? As I began to actually put the story down on empty pages, I would constantly take breaks from it, and think up new ideas for the plot, and come back to it – often months later, during school holidays. I was constantly thinking about the characters and their story. Inspiration could come from anywhere – a song lyric, an overheard conversation. It was during the autumn of 2014 that I tried to dedicate myself to finishing the story of Conor and Darragh (the two principal characters in “The Whole of the Moon”) because I had left them handing in the dark for too long, and over the following nine months, I finally completed the manuscript after several redrafts. · As I mentioned earlier, much of the story is based on past experiences growing up in rural Ireland in the 1980s. I carried out some research into the politics of the time and various news stories that were prominent then. I revisited the music, TV, literature, etc. of the period to get a feel for the era again. · You kind of forget simple things about the late 80s – the fact that people had no mobile phones, so if a character wanted to contact somebody, they had to use a payphone or arrange a time to meet. · You also forget how people in rural Ireland drank so much back then. The pub was the centre of the community. · Yes, I think that Conor Doyle is modeled loosely on my own character. Conor is the quiet one, the observer, never the centre of attention. He is contrasted with his friend Darragh, who is loud and confident. · Darragh was based on a number of friends I had growing up and people I met during my college days. · Well the old saying is “write about what you know”. I just wanted to recapture some of the experiences I had growing up. Obviously, a major crime takes place in my novel, and fortunately, I was never affected by anything of that nature. · But my novel is not really a crime novel at all. It’s more of a story about relationships between old friends, and how those relationships become tested and strained by a terrible event. Well, just to say that my novel contains a good deal of humour despite the serious subject matter involved, and that it is an easy read, something you could get through in one sitting on a wet Saturday afternoon with a good fire. It will pull you back to the late 80s, which were hard times growing up with high levels of unemployment and emigration, but also, it was a time when Ireland was coming on age and taking its place on the world stage with the success of the Irish soccer team and the rise of U2 as a rock super group. It was a time of awakening for Irish people, when we began to stand up and question the institutions that had kept us so tethered for so long. It is available now. It was published by Creativia last month.